If you are a foodie in Bangalore with a partly (or entirely!) Gujarati soul like me, I am sure you would have roamed around the streets of the city, trying to find food with that authentic Gujarati taste, something that would transport you to Gujarat, the place that occupies some part of your dreams. I know I have done that. 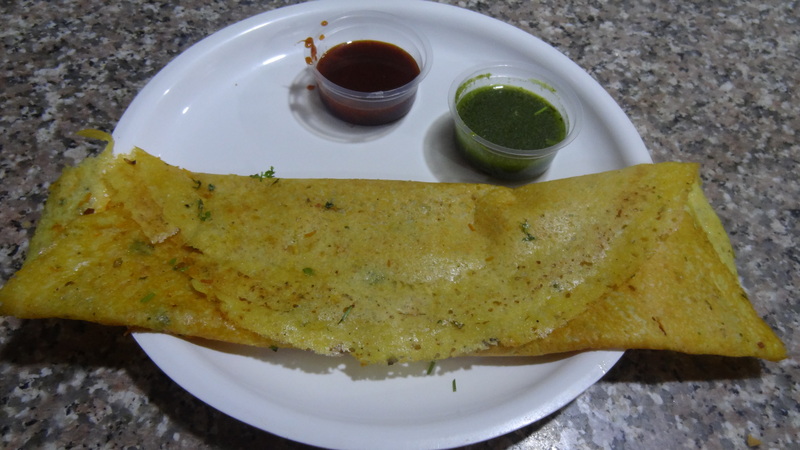 For you, I list down three recent discoveries – three foodie places in Bangalore that satisfy the Gujarati in me. Tucked away inside the busy BDA Complex at Koramangala, this place has been around for years, serving some awesome chaats, sweets, and savouries. We might never have known of this place if we had not had some free time just when we were at the BDA complex. We were hungry, too, at the time, and went into this shop, only to get pleasantly surprised. We have been to this place a couple of times since, and have always had a great experience. I like the chaats at this place – they have a distinct North Indian touch to them, unlike the very South Indian chaats available elsewhere in the city. We have tried out the aloo poori and pani poori here, and found them much, much better than many other places we have had chaats at. 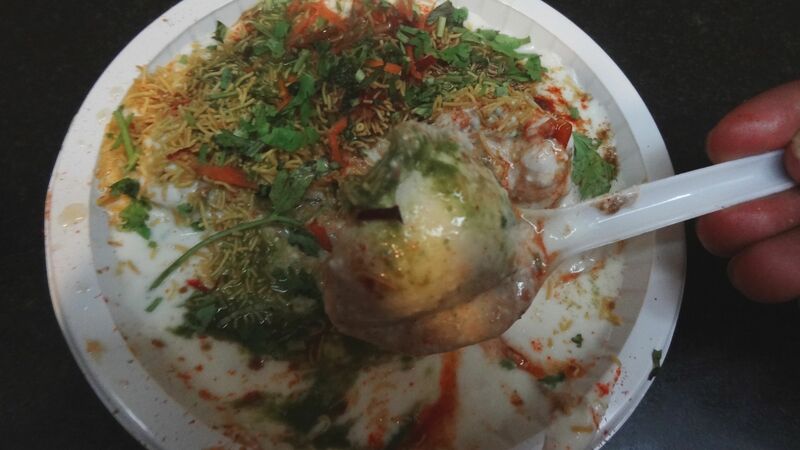 We also tried out the rasgulla chaat here, just because we had never had something like that before. We weren’t disappointed. Little rasgullas dunked in curd, served with sev, green chutney, and an assortment of other spice powders – a crazy combination but I liked the taste. It appealed to the Gujarati in me, who likes sweetness in her chaats. I understand this might not be for everyone, but it is still worth a try. Rasgulla chaat has to go down as one of the craziest things I have ever eaten – it gets a place in this list. Also, just because of the novelty factor, we tried out the paan bajjis here – betel leaves dipped in savoury batter and fried till crispy. It comes in a packet with a shelf life of 2 months, and not fresh out of the pan, as we had initially expected. We still went on to try it out, but did not find it all that great. A great idea, but a dish best avoided here, I say. Sangam has a variety of Gujarati delicacies on the menu, something that endeared the shop to me infinitely. We tried the patra and the khaman here, and both of them disappointed me. The dabeli here is lovely, though – it has a pakka Gujju taste to it. 🙂 Now, I know where I should head to, whenever I have dabeli cravings! Apparently, Sangam also sells Gujarati undhiyu every Sunday morning, but you need to place an order for the same by Saturday evening. I am dying to try that out! I am also eagerly waiting to try out the many other chaats and savouries on their menu! Everything sounds great! We have passed by Anand Sweets so many times over the years, but have never really stopped by. Sad, because we missed out on so many wonderful treats that this place has to offer! We happened to visit the Koramangala branch recently, and picked up some anjeer (aka dried figs) dryfruit barfis, just because they reminded me of Gujarat. They were gorgeous! 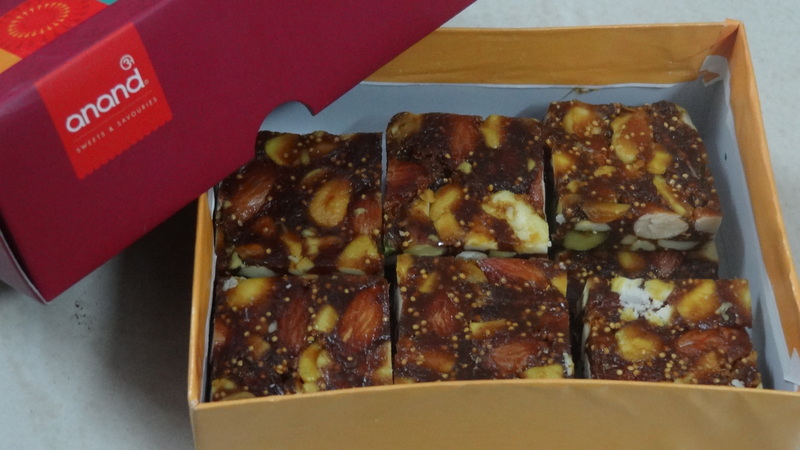 They taste just perfect, with the right amount of anjeer and a variety of nuts in every bite. I have tried the same sweet at many shops across Bangalore, but Anand Sweets gets it just right. What’s more, this particular sweet is sugar-free – all the sweetness in it comes from the anjeer in it. Perfect for people like me, who have a sweet tooth but are wary of overdosing on sugar. There are so many varieties of sweets here, it is mind-boggling to choose just one or two. Everything looks super interesting! I am so going back to this place, if only for the khandvi and the anjeer dryfruit barfee. This is a single shop in Koramangala with three signboards, saying Jai Jinendra, Kota Kachori, and Falahaar. Kota Kachori is the name the shop is most famous by, though. It serves a huge variety of Rajasthani sweets and savouries, many of which are prepared piping hot, right in front of you. They also serve ‘falahaar’, dishes that you can eat while you are fasting. We have been to this place quite a few times, and have loved most everything we have tried. The khaman is delicious, soft and juicy, just the right mix of sweet and sour, the way I like it. The aloo-pyaaz kachori is gorgeous, but I am not a big fan of their Kota kachori. The sabudana khichdi here is lovely, made the Gujju-Rajasthani way, with pomegranate arils, lots of coriander, and falahaari potato namkeen in it – sweet and spicy, it is just perfect. The sabudana dahi wada comes with sweet and spicy chutneys, the way it is served in Ahmedabad, beautiful in taste and appearance. I had my first tryst with the famous Rajasthani ghevar here, served straight off the pan, and loved it. The chila here is great too, with aloo bhujia sprinkled inside. Any wonder this place gets so crowded, on weekends and week days alike? Have you been to any of these places? Your thoughts on them, please! If you are still interested, I was given the contacts of a gujju lady in Malleswaram. She delivers to anywhere in Bangalore through Dunzo and has a delivery charge (the cost that Dunzo charges). Her pineapple, mango shrikhand is AMAZING. I have also ordered undhiyo, khatti meethi daal, thepla, khaman dhokla, other sabzis, khichdi kadi, sev tamatar ki sabzi etc. She needs 3 days prior notice for shrikhand as she makes fresh dahi and the process thereafter……She is quite popular in the Malleswaram area. She will also put together a customised menu for you. Jain variety is also available. You could reach her at 9980834458, if still interested. Her name is Shital. FYI, Shital has added more food items and has a new menu. I ordered some off it last night. It was AWESOME! You could call her and get it, or I could email it to you, if you share your email id. Enjoy! And also share with your friends and family. It could benefit someone. Try Locha @ BTM stage-2! 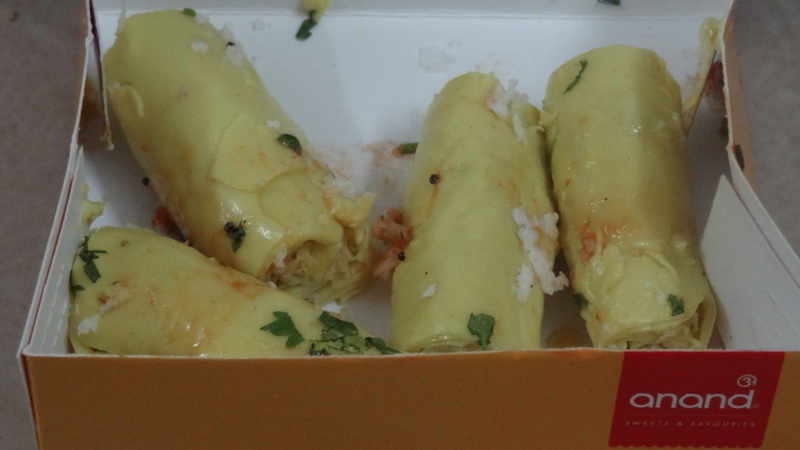 Is there any group of gujarati foodie or any group of gujarati community get together ? I am not aware of anything like that, sorry! Have been to sangam chats.. And yeah they are pretty good..!! They are, indeed. I didn’t like some of the dishes on their menu, but most are good. Ah, so you know exactly what this lost soul has been feeling like. 🙂 Good to know a little bit more about you! 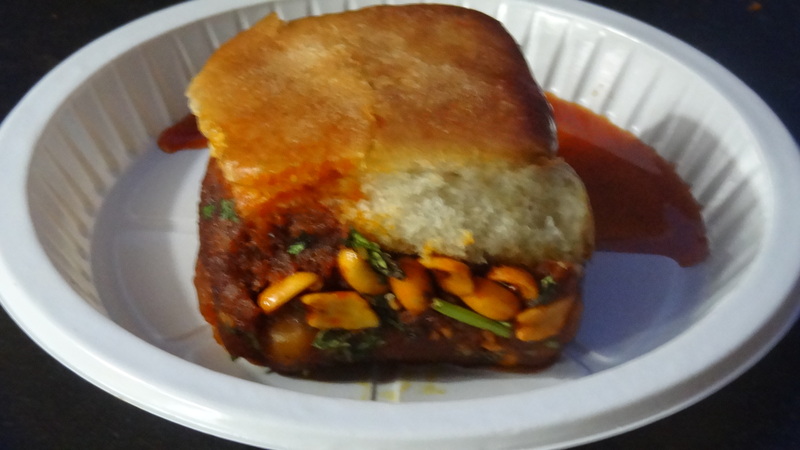 Oh I love Eateroo’s Dabeli too. Only suggestion is to have it hot-hot else the pav bun turns very soggy with butter. We tried take-away a couple of times and were let down by the not so good bun. Oh, I HAVE to try out Eateroo now! 🙂 On my hit-list!